Amarillo-based author Linda Castillo's latest is released Tuesday. In Amarillo-based author Linda Castillo's latest thriller, Ohio police chief Kate Burkholder must face her fears and leave her comfort zone to solve a brutal crime. Similarly, Castillo is shaking up her own career by releasing her first non-Burkholder thriller that could be released as soon as next year, an as-yet-unwritten book she would only describe as "a high-concept, dark, psychological thriller set in Dallas." Author Linda Castillo "It will be a good thing," Castillo told me over lunch last week. "I love writing the Kate Burkholder thrillers, but it will be nice to do something different, too." Kate gets a taste of that, too, in Among the Wicked, out Tuesday — but it's debatable if she'd say it's a nice experience. In the book, which Publishers Weekly dubbed "exciting" in a brief review on June 13, Burkholder is asked to go undercover in an Amish community in upstate New York. As regular readers of the series, which debuted in 2009, know, Burkholder is uniquely qualified for the assignment: She was raised in the faith herself in her hometown, Painter's Mill, then left at age 18 and eventually entered law enforcement. Since then, she has tackled a series of heinous crimes committed by and against her Amish neighbors. "I've gotten a few letters asking if I'll ever run out of people to kill (in Painter's Mill)," Castillo laughed. She called it the "Cabot Cove Syndrome," named for all of the dead bodies that piled up in the hometown of TV detective Jessica Fletcher on Murder, She Wrote. "I think there has to be a certain level of readers suspending their disbelief," Castillo said. "They know there's no way all of this can happen. But I don't focus a lot on the time line or on past crimes. These stories are stand alone." 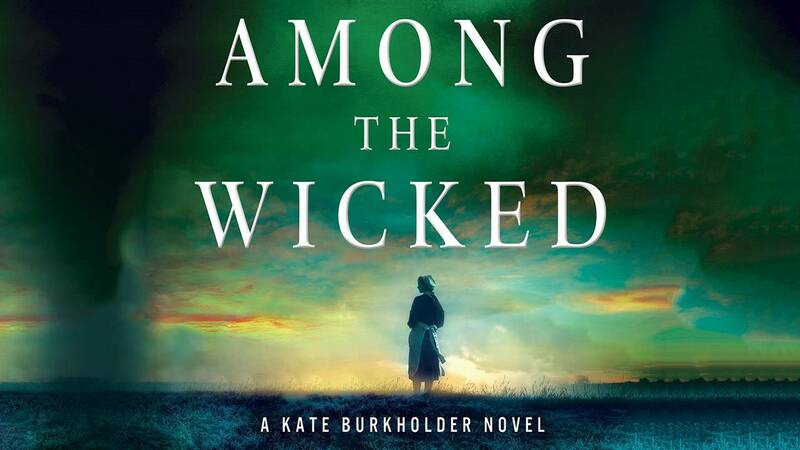 "Among the Wicked" will be released Tuesday.Courtesy Minotaur BooksWicked is particularly new-reader friendly: Burkholder is the only regular character who appears in any significant way. Even her lover, fellow officer John Tomasetti, takes a back seat during Burkholder's journey to New York. There, she is tasked with uncovering why a young Amish girl was found dead in the snowy forest near an increasingly isolated Amish community, which is now under the sway of a charismatic, mysterious new bishop. Burkholder agrees to go undercover as a recent Amish widow who's looking for a more traditional flock. Though what she uncovers is typically horrific, Castillo has softened her approach to the crimes her stalwart officer is investigating. "I pulled back after the third book," she said. "They're still terrible crimes, but I try to be more subtle about it. I think readers don't need to be hit over the head with it." Castillo herself grew up near Amish country in Ohio — though she, herself, was not raised Amish — and was inspired to set a crime series among their culture after publishing more than 20 popular romance novels. 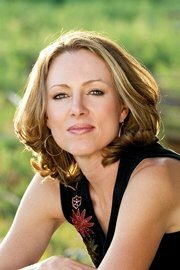 She began writing while living in Dallas, then moved with husband Ernest to a ranch north of Bushland in 2005. Even after eight novels set in their world, Castillo said she is still captivated by the culture. "When we go somewhere, we just jump in a car," she said. "They have to harness the horses, they have to keep them fed, their stalls mucked." 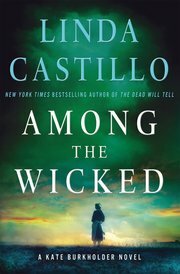 As an outsider, Castillo said she is wary of Amish reaction to her books: "There's a certain level of violence and language — especially in the early books — that I (am) utterly certain (Amish readers might ) rip into me about." That was her fear, especially, when she met an Amish reader at her first reading on her first book tour to promote the release of the series' second installment, Pray for Silence. An Amish man told the organizer that he wished to speak to Castillo after her reading and Q&A session. "I was pretty much petrified," Castillo said. But the gentleman, who was the curator for an Amish heritage center, ended up giving her personal tours of his community and greater insight into the Amish lifestyle. "Some writers depict the Amish incorrectly," Castillo said. "They do try to lead righteous lives, but they're human. Teens get drunk and race buggies. There are wild parties in the barns. There are drugs. All that hopefully happens during Rumpsringa (a traditional period when Amish teens are allowed to explore life in the "English" world). Once they're baptized and make their vows to they church, most start their families and their lives." Castillo said she first had the idea to put Burkholder back into a long dress and prayer cap a couple of books earlier. "She's no longer Amish, but she can blend in. There was something so intriguing about the idea, and I loved writing the book," she said. "I think this is one of the stronger books."